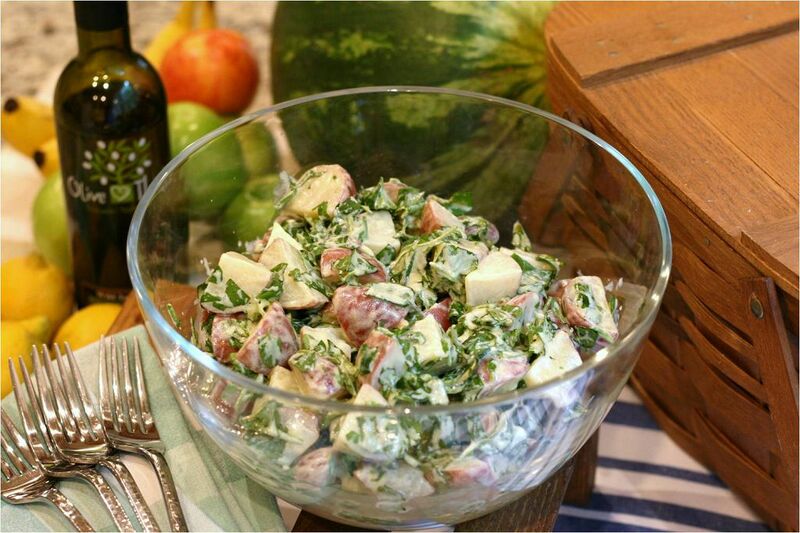 Potato salad is a great side dish for barbeque, which I believe you’ll be having a lot of now that summer is here. There are times when you can’t finish the potato salad that you prepared. Maybe not all your guests showed up for the backyard party you hosted. So what do you do with the leftover potato salad? Can you freeze potato salad? I know a lot of people who love to prepare potato salad. It’s a versatile dish that can serve as a side dish or even a snack. I usually have it for lunch and even picnics. But one thing that I don’t like about potato salad is that it is quick and easy to go bad. When left at temperatures of over 41 degrees Fahrenheit for more than two hours, potato salad will quickly go rancid. How to store leftover potato salad? How to transport potato salad? What to do with leftover potato salad? Well, you can freeze potato salad. But if you were to ask if freezing this popular dish is the recommended method of extending its shelf life, then I would say no. Why? 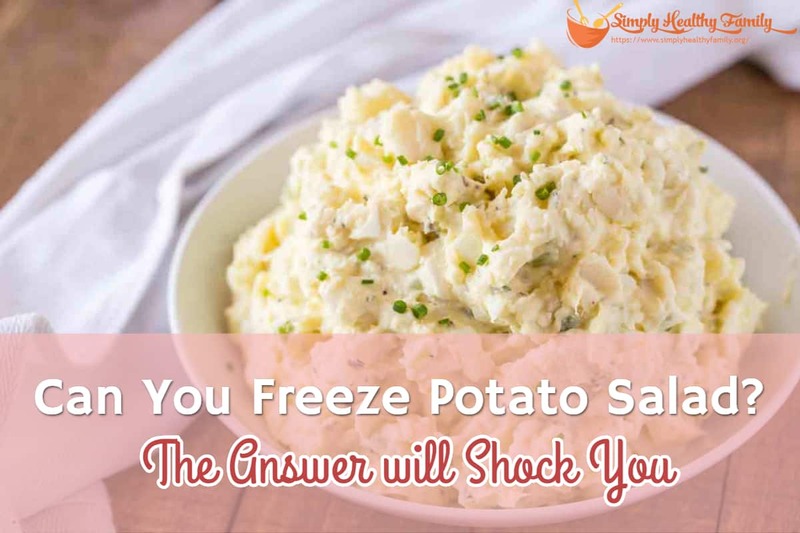 Because a key ingredient of potato salad—mayonnaise—is notorious for not freezing well. Ice crystals are formed on and within the mayonnaise, which causes the separation of the dressing when it is thawed out. 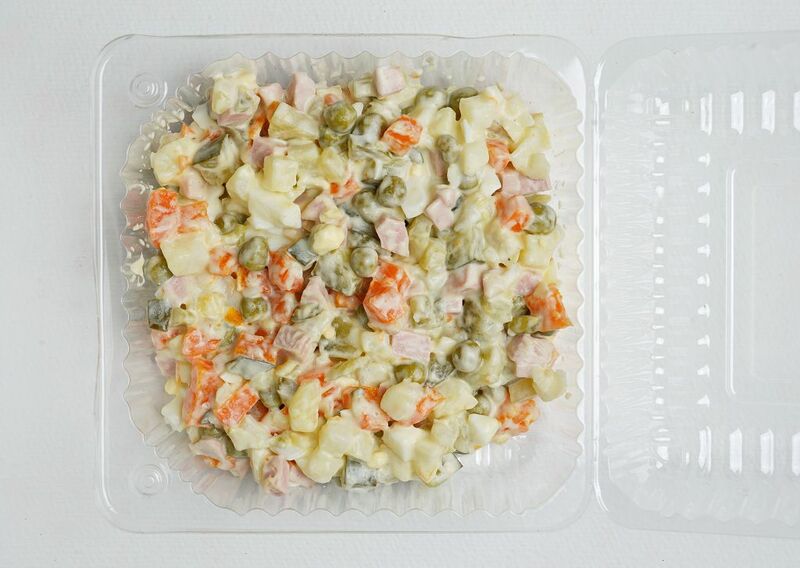 Thus, frozen potato salad will have coagulated look that isn’t appetizing at all. It can also discolor the potatoes which can further make the dish unpleasant. Even other ingredients like onions and celery don’t freeze well. Those ingredients can turn into mushy and tasteless versions when they are frozen. The best way to store leftover potato salad is to simply refrigerate it. I usually refrigerate potato salad as soon as I have filled the plates. I recommend that you store potato salad in an airtight and moisture-proof container. Look for one that is capable of blocking out light as well, like plastic containers or tinted glass. In case the container you have has a lid that doesn’t seal well, you can cover the potato salad with aluminum foil. A plastic wrap would also come in handy. How long would leftover potato salad stay fresh or safe for consumption when left in the fridge? It’s not that long; about three to five days. I advise you to label the container so that you would know when to consume or finish the leftover potato salad. As I mentioned earlier, the problem with potato salad is that it can easily go bad. Leave it at room temperature for just two hours, and it would surely get spoiled. So what would you do if you have to transport potato salad like when you are to go to a friend’s party and potato salad is your share in the potluck? I’d recommend that you chill a cooler first the place the salad container inside it. If you’re bringing mountains of potato salad, break it up by putting it in a couple of bowls. It’s also advisable to prepare the potato salad the night before the party. Use a dressing well-laced with lemon or vinegar before refrigerating it. Moreover, avoid using eggs if you are wary of food poisoning. The staphylococcus bacteria that causes food poisoning usually attacks high-protein sources like eggs. The bacterial rapidly grow at temperatures between 45 and 140 degrees Celsius. Of course, you can eat leftover potato salad after refrigerating it. But I got other recipe ideas that you might want to try so that you can make good use of leftover potato salad. This parmesan-encrusted potato salad cake can be a good snack if you are bored with leftover potato salad. The recipe I am sharing can make 4 to 6 cakes, but it would depend on a number of leftovers that you have. Coat a skillet with olive oil. Place it on medium high heat. Add two tablespoons of parmesan to the potato salad. Mash it using fork. You can leave some small pieces, as long as you don’t whip the potatoes. Doing so can cause the pancakes not to hold together. 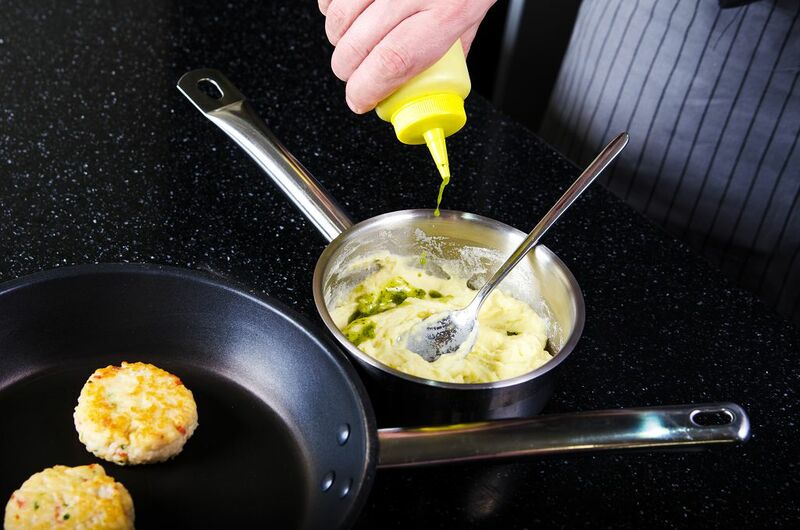 Coat the tops of the cakes with parmesan cheese, then transfer the potato cakes to the skillet. Form tiny round cakes in your hand about 4 inches in diameter, or about the size of a patty. 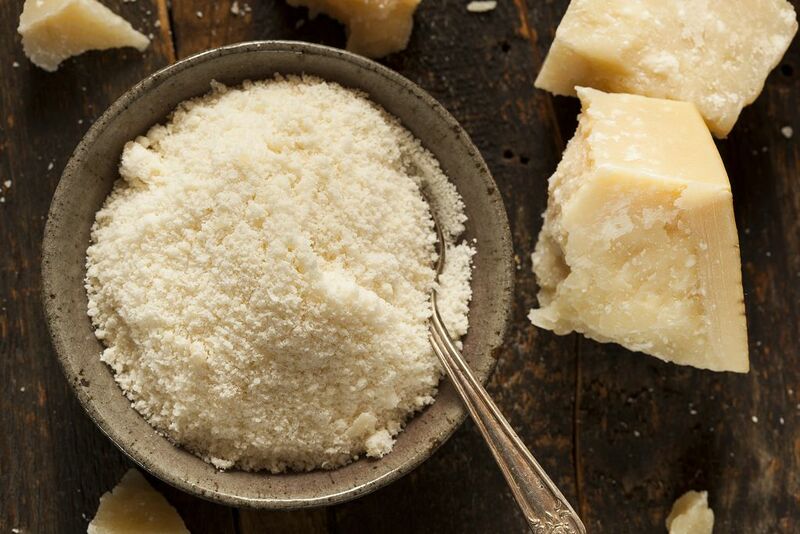 Layer a rectangular baking dish with parmesan cheese. Press the potato cakes in the cheese so that the latter will coat the bottom of the cakes. Coat the tops of the cakes with parmesan cheese, then transfer the potato cakes to the skillet. Sear on both sides for 4 minutes. Serve warm and enjoy. 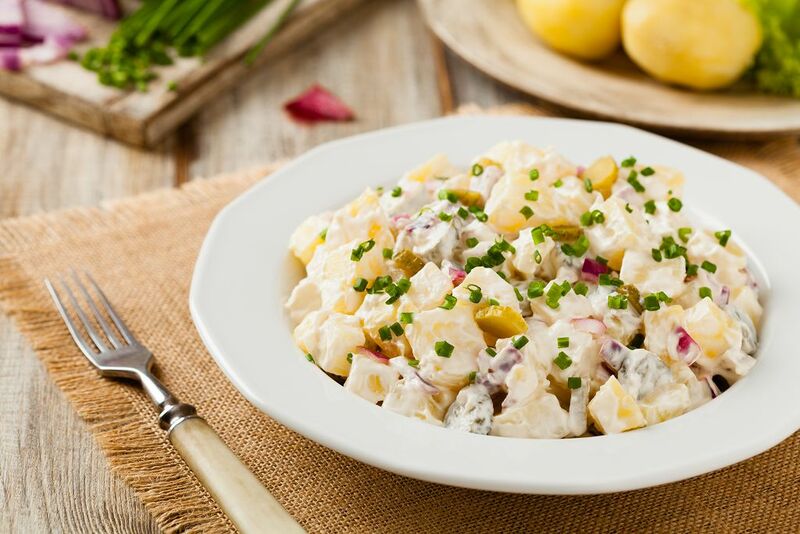 Potato salad is expected to be a familiar fixture this time of the year. 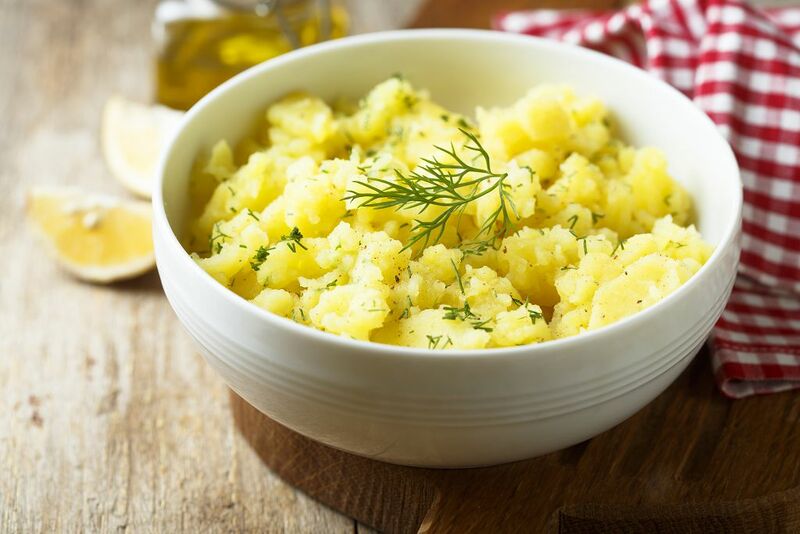 With everybody out for picnics and backyard parties, it is only practical that you know the proper way of extending the shelf life of potato salad. Freezing it isn't the ideal method of preserving its freshness. Instead, potato salad is best suited for refrigeration. When left in the ref, it can stay safe for consumption for 3-5 days.